WIT Athletics Club led by coach Shane McCormack secured 3 gold and 1 silver medal at Irish University Athletic Association championships in April in Belfast. It was a fantastic weekend of athletics for the college which saw them finish 2nd overall on the female team rankings behind DCU while finishing 10th overall on the combined team rankings. 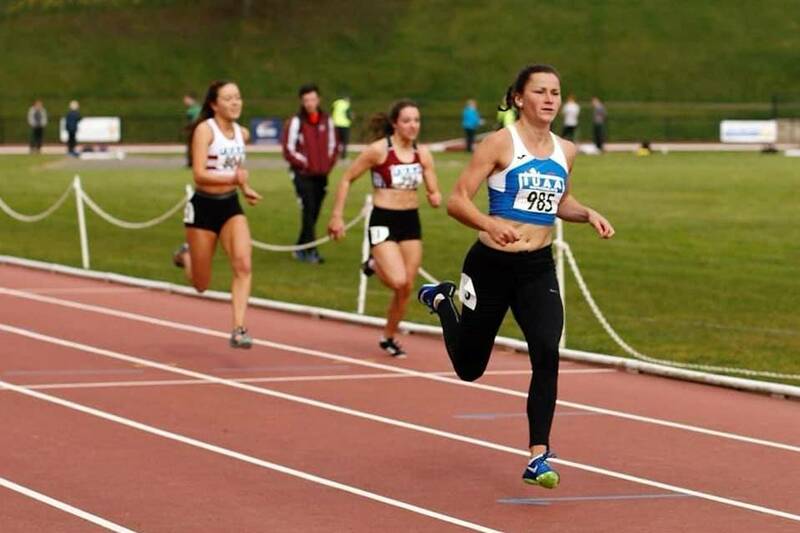 Elite Sport Scholar Phil Healy (MSc Computing) stole the headlines once more at the IUAA championship in Belfast when she secured 100m and 200m gold in the female events. In doing so she set new record times for the IUAA 100m and 200m with times of 11.55 and 23.31 respectably. What makes these achievements more incredible is that Phil has focused on 400m running over the past number of months. It has been an incredible few months for Healy who competed at the world indoor 400m championships in Birmingham only a couple of months ago. First year scholar Orlaith O' Brien (a Sports Coaching & Performance student ) brought home another gold medal for WIT when she claimed the female Javelin title throwing 42.98. A remarkable achievement for a student in her first year competing at the IUAA games. Another first year Cian O' Brien (studying Exercise & Health) was 2nd overall in the men's category jumping 1.85m and brought home the 4th medal of the competition. To apply for a sport scholarship at WIT. Complete the online form on the WIT Sports Scholarship section.